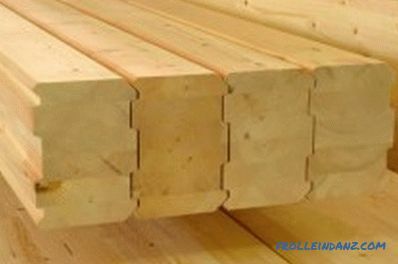 When building a wooden house, the quality of laying the first row of bars is of great importance. It depends on this how smooth the walls will be, because correcting errors in the construction process is quite difficult. The strength and reliability of the entire structure as a whole depends on how well and correctly the first crown of the house is laid out of the timber. 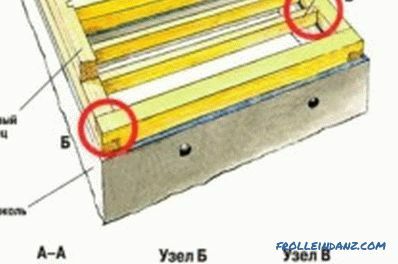 In order to properly lay timber on the foundation, it is not necessary to have special knowledge or experience, but you will certainly have to try very well. The timber for building a house must be of high quality. For a house from a bar it is necessary to choose the highest quality wood, with a high density, a smooth surface and not damp. It is desirable that the bars for the first row should be cut from the core of the tree, it can be determined by annual rings on the cuts, they should be very tight and away from the center. 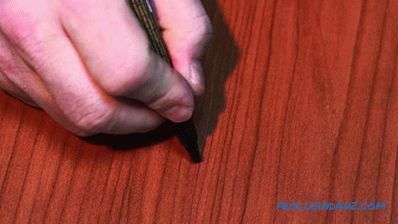 Logs with black spots or a bluish cut cannot be used as a base. Select the most even bars with the least amount of knots and saturate them with liquid bitumen mastic, to which waste oil is added. The protective composition is applied 3 or 4 times so that the wood is soaked as deep as possible, while the cuts are necessarily left untreated - moisture will come out through them. Impregnated bars laid out on a flat open surface and allowed to dry completely. After that, the material is ready for installation. The scheme of fastening the bottom trim and waterproofing under the first crown. 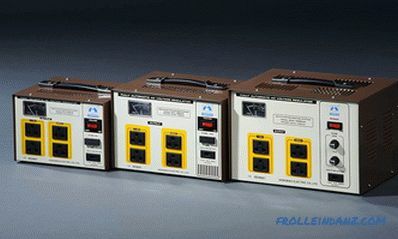 Waterproofing a house from a bar should be performed after checking the foundation with a water level. 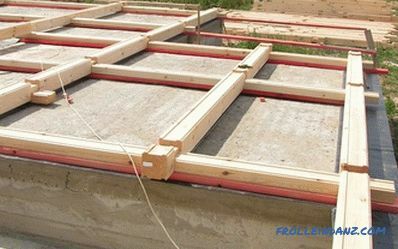 With differences in height of more than 1 cm, the surface of the foundation must be leveled using a concrete solution. Next, prepare the bituminous mixture and cover the base with a dense layer, carefully filling the smallest cracks and gaps. After that, the ruberoid is heated with a gasoline or gas burner, cut it into strips and laid directly on the mastic. 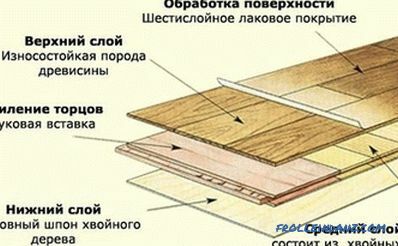 The width of the strips should be greater than the width of the foundation by about 20 cm. At the joints, the roofing felt is put on an overlap of 10-15 cm, warmed up separately and then smeared with mastic again. When the first layer of waterproofing is laid, make another one in the same way. It is recommended to lay a layer of glass-insol over the ruberoid, all layers should protrude beyond the edges of the foundation at the same distance along the entire perimeter. Instead of stekloizola, you can use the laying board, but then it should be closed on top with roofing paper and glue all the seams with mastic. The better the waterproofing is, the more durable the construction will be. The design of the nodes of the first crown of the house from a bar. First, slats are laid on the waterproofing. 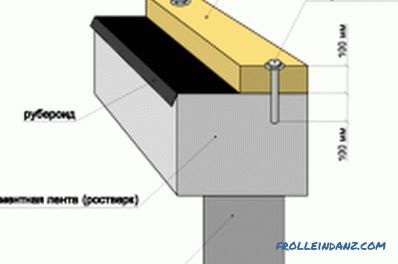 They should be placed across the foundation strip every 30 cm, and the length of the rails should correspond to the width of the foundation, as shown in the figure. Now from above begin to lay prepared bars, which form the first crown. It is very important that the angles are 90 °, otherwise the house will be skewed. Also, after forming a row, check its location relative to the horizontal. If individual sections protrude from the common plane, they are aligned with a planer. Corner elements are joined by ends and fixed with metal brackets. When the crown of the house is laid, the gaps between the waterproofing and the bar are filled with foam. This will not only strengthen the structure, but also protect it from the penetration of rodents, insects, water and snow. 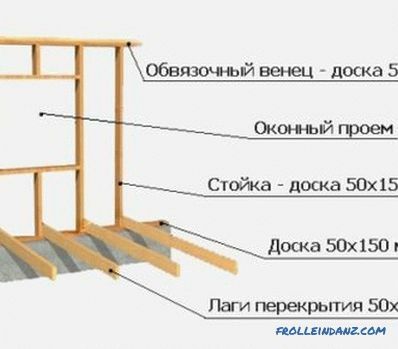 To fix the timber to the foundation is not necessary, since the structure will be quite heavy and will not be able to move. At this laying the first row is complete. The next step is the installation of vertical posts inside the perimeter and cutting holes in the bar for the log, after which you can proceed to the further erection of the walls of the house from the bar. 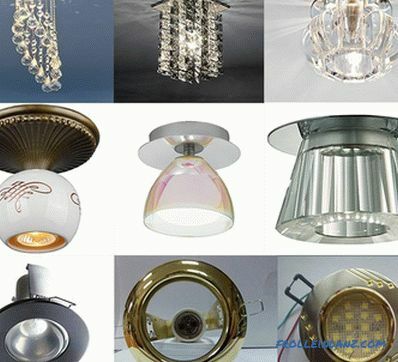 If the material for construction is chosen correctly and the installation technology is strictly observed, the house will serve for more than a decade without requiring major repairs. The most important thing is to carry out each process as efficiently as possible, then even a lack of experience will not hurt to build a strong, reliable and neat house with your own hands.